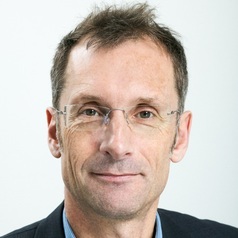 Ole Wæver is a Professor of International Relations in the Political Science Department of the University of Copenhagen, founder of CAST, Centre for Advanced Security Theory, and director of CRIC, Centre for Resolution of International Conflicts. Internationally he is mostly known for coining within security theory the concept of 'securitization' and as one of the main figures in developing what is often referred to as the 'Copenhagen School' in security studies. His most recent writings in relation to securitization theory have applied the theory to religion and to climate change. More generally, his research interests include theories of international relations, sociology of science, philosophy of science, speech act theory, religion in international relations, politics of climate change, history of concepts. Publications include "Regions and Powers: The Struc­ture of International Security" (with Barry Buzan), Cambridge University Press 2003 (Chinese transl. 2009; Iranian 2009); "Security: A New Framework for Analysis" (with Barry Buzan and Jaap de Wilde), Boulder: Lynne Rienner 1988, Chinese 2002, Czech 2006); "International Relations Scholarship around the World", vol. 1 of 'Worlding Beyond the West' series (ed with Arlene B. Tickner) Routledge 1989.